The Owls look to send off their seniors with a victory in their last home game. 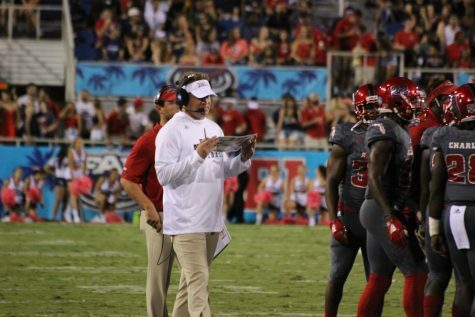 Can FAU coach Lane Kiffin lead the Owls to a second-straight bowl game? Photo by Pierce Herrmann. 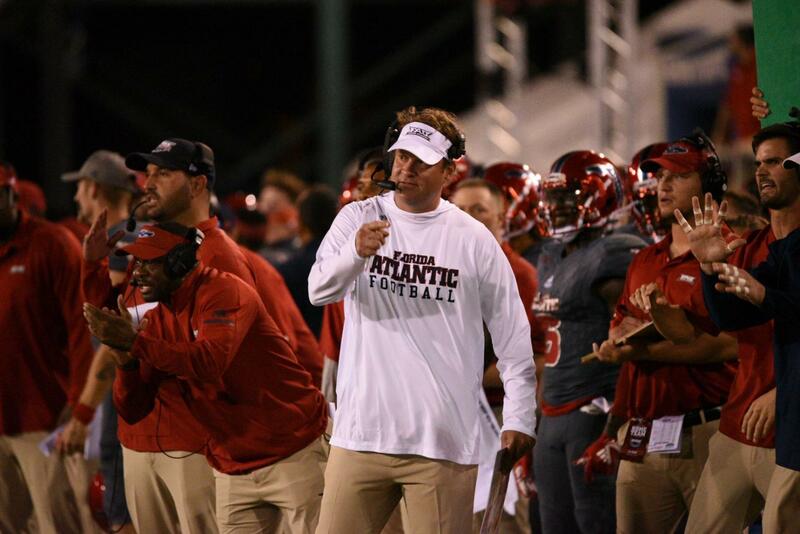 It’s a simple situation for the Owls tonight: win and become bowl eligible; lose and their season is over. 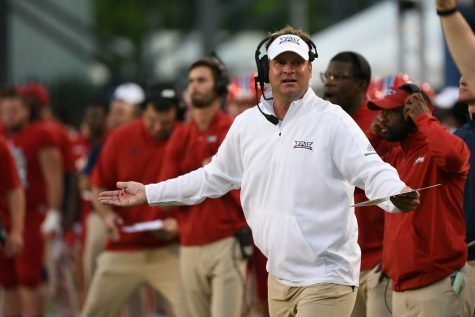 Coach Lane Kiffin and FAU can reach bowl eligibility for a second-straight season if they defeat the Charlotte 49ers tonight at home. However, Charlotte will be looking to spoil the Owls’ postseason hopes in its last game under lame-duck coach Brad Lambert. 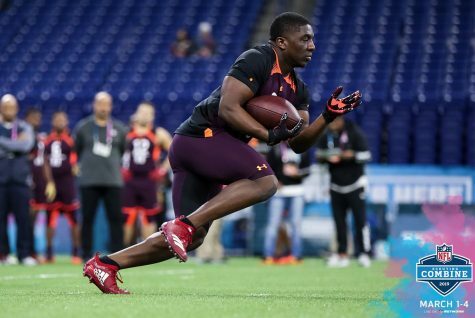 Running back Devin Singletary hopes to end his regular season with a bang tonight, but he faces a tough challenge in doing so. Charlotte is Conference USA’s second best rush defense, allowing only 98.1 yards per game. 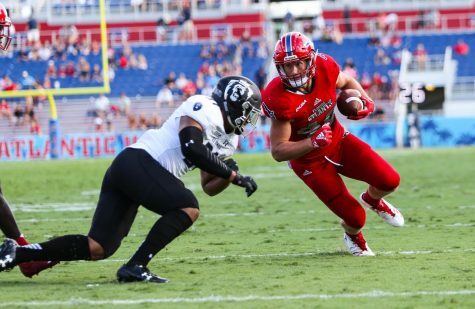 After an up-and-down performance against North Texas last week, Owls quarterback Chris Robison is back where plays his best: FAU Stadium. The redshirt freshman threw for 294 yards and two touchdowns against the Mean Green, but also tossed two costly interceptions. 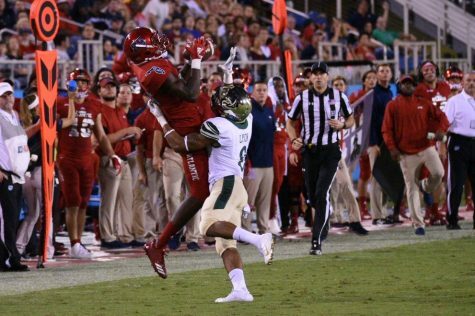 For FAU to be successful this week, Robison needs to make smart decisions and protect the ball to force Charlotte to drive the length of the field to score. Another key to his game is to give chances to his playmakers like Jovon Durante, Willie Wright and Harrison Bryant. 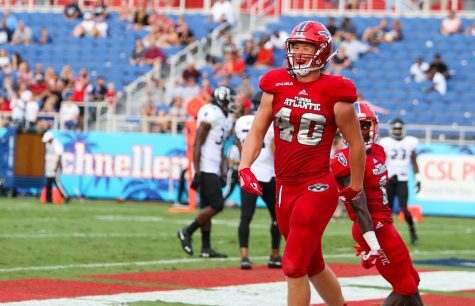 The Owls defense has improved markedly over the past three weeks in creating turnovers, but it will need to hunker down and stop the run tonight. 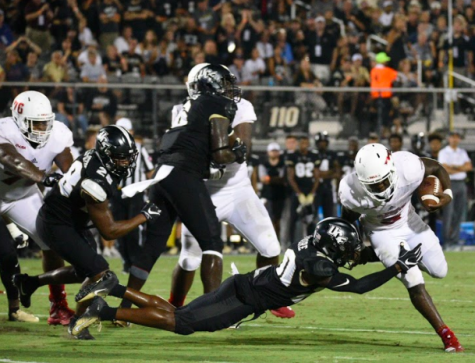 Charlotte running back Benny LeMay is coming off a 159-yard, four-touchdown day against FIU, and is a load to tackle in the open field. 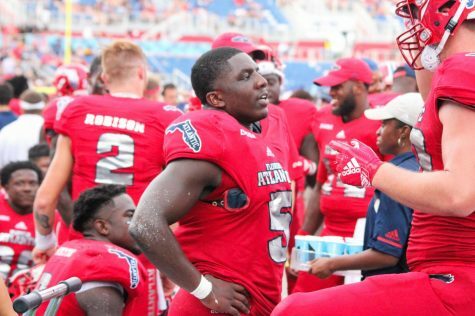 If FAU can contain LeMay, Charlotte’s offense would likely fall flat. 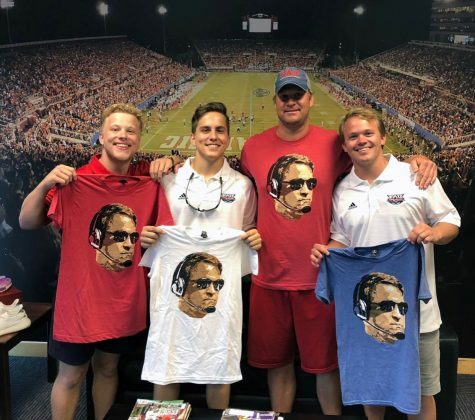 Tonight is senior night for FAU. 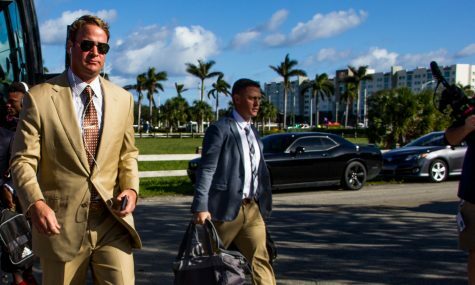 And what better way to honor those seniors than by extending their season with a bowl game. The Owls’ regular-season finale is set for 6 p.m. tonight at FAU Stadium.